Last year I enrolled in a 2 year, part-time, distance education program in Natural Nutrition at the Canadian School of Natural Nutrition. I am just about to finish the first half of my studies. (Big cheer!) This is especially noteworthy since I spent the first six months of my enrollment in total freak-out mode, leaving home and settling in to a new country. So, I really had to pick up the pace in the second half of the year. My final assignment for this year is to write a business plan, which includes all sorts of self-reflection and dreaming as well as the logistical, practical, research-y stuff. It poses some difficulty, writing a business plan when you don’t know what country you’re going to live in or whether you’ll own a home at all, let alone one with an office space, or basically anything about your life in one year’s time. So, I essentially have to fake it. Pick a life, pretend we’re doing that, and write the plan. It’s just a school assignment, after all. Although, it would sure be nice to have the assignment actually apply to real life one day, but some things are a lot to ask. Unfortunately, I’ve noticed that picking a future life is no longer an easy emotional decision. While I assume one day we will return to Canada, I’m at the point where there are real life things we will mourn about leaving our life in the UAE for good. Not just theoretical, you-will-miss-things-from-here things. Real people and real places and real realities. Real. I guess that’s one of the prices you pay as an expat. No matter what decision you make next- stay put, return home, go somewhere different- there’s grieving. But, for now, I’ll just enjoy the dreaming part. Because the dreams are big and exciting! What my own Holistic Nutritionist business could look like in Canada and what it could look like here are both very enticing. And while the business plan demands a decision right now, our real life doesn’t demand one until spring. So, I’ll finish this assignment and then, once again, I will settle into waiting and trusting God to reveal his next best steps for us. This entry was posted in Processing Life and tagged CSNN. It’s hot here. It’s getting to me. I was all fine with it until about June 1st. Then I guess I’d just had enough of the 24/7 air conditioning, the instant sweating when I stepped outside, and the lack of fresh air. And it’s the end of the school year, so I’m worn out. And I’m pushing through my own school work to reach my first year goals before our summer vacation. So, I guess I hit a wall. But, did you hear that little ray of hope there? Summer. Vacation. On July 10th we will hop on a direct flight from Abu Dhabi to Rome and begin our 35 day European adventure! I hardly know how to describe my excitement. Sometimes I catch myself staring at a wall and smiling because I’m daydreaming about our plans. I have dreamed of these destinations since I was a teenager, heard of other people’s world travels, and sat with my unquenchable desire to see new places, knowing it was not something we could afford. But lo and behold, our lives took a drastic turn, fraught with challenge and tears, and now we find ourselves rewarded in multiple ways. Personal growth, spiritual growth, a broader perspective, a tighter family bond, altered life focus, new and enriching relationships, less financial burden, and the gift of seeing the world. So, when we get off the plane on the 10th, we will immediately catch a train down to Salerno, Italy on the Amalfi coast. 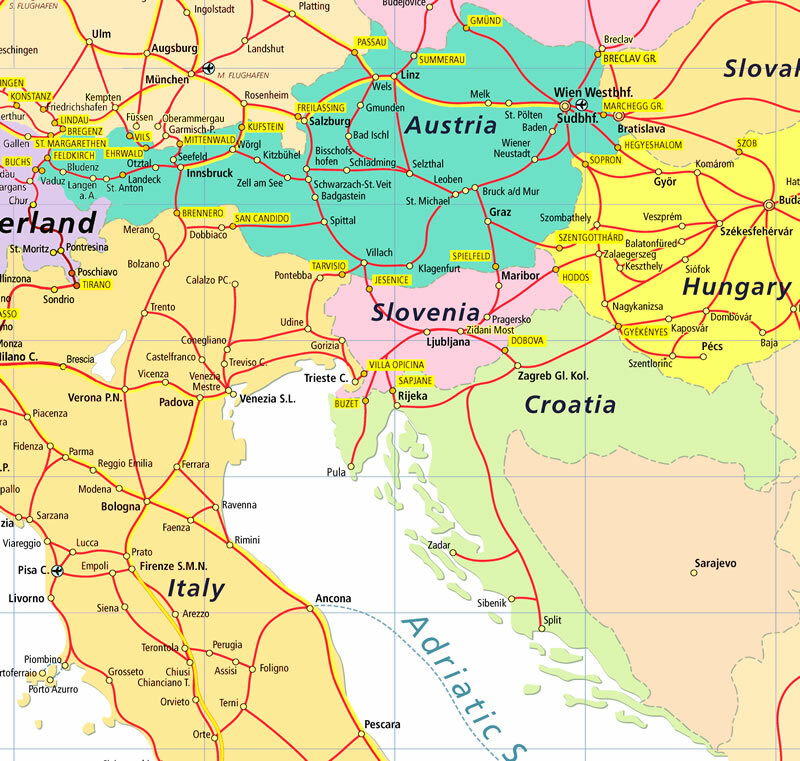 We will have 5 days there, followed by 5 days in Rome, 5 days in Florence, 5 days in Venice, 5 days in Ljubljana, Slovenia, 5 days in Werfenweng, Austria, just outside of Salzburg, and 5 days in Augsburg, Germany, just outside of Munich. … There I go with that staring at the wall and smiling thing again. Dream. Come. True. Like I told a friend today, after we land and I get outside, rain or shine, the first thing I’m going to do is take a good, long, deep breath of fresh air. Even if it’s not fresh, it won’t be 47 degrees and it won’t burn my nostrils to breath deeply. And then I hope to not go inside for 5 weeks. Well, maybe to sleep. And to see the Sistine Chapel and Michaelangelo’s David and all that dreamy stuff. And I’m going to wear tank tops in public. Scandalous. I’ll probably feel half naked. And I’m going to OD on sausage, bacon, ham, and all things pork. And then I’ll probably need medical attention. And then you know what? In August I will be just as excited to return home to Al Ain, because I know I’ll miss our lovely little apartment and this beautiful, crazy country. And I’ll be ready to dive back into homeschool and friendships and my school work and routine. But for now, I have 20 more days of staring at walls until we go and dig into one of our great rewards. This entry was posted in Processing Life, Travel Log and tagged europe.